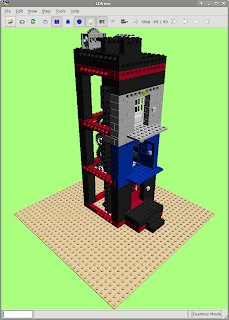 I am currently in the process of building some software on Linux for viewing and building Lego projects. 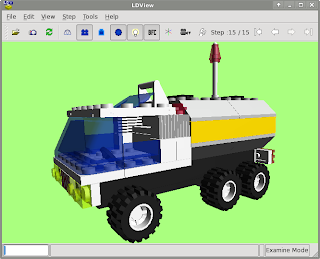 The first program I have been successful with is LDView, a very nice tool to visualize LDraw files. I have it working on Slackware 13.0, both 32-bits and 64-bits. It is still a bit of a "hacked" installation, as it requires some fiddling with parameters and recompiling packages. But I plan to put a package on my site as soon as it is in a decent state and submit a SlackBuild for those who prefer to build their own version.